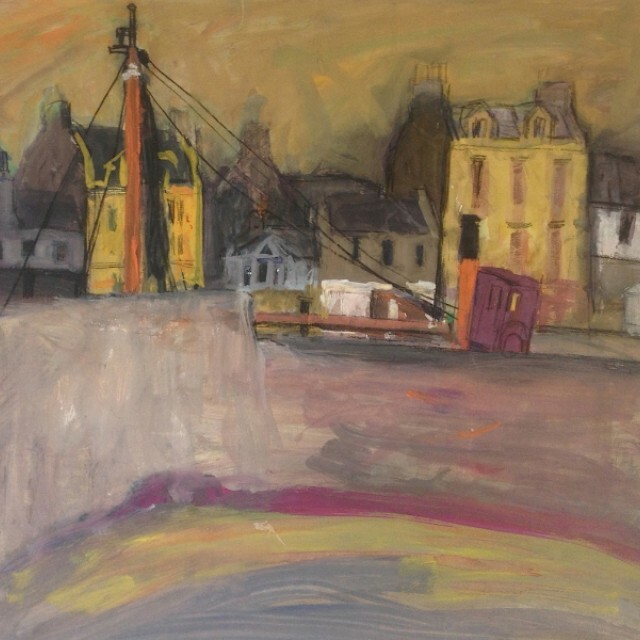 Cyril Gerber Fine Art are delighted to invite you and your guests to join us at the opening of this exhibition by the artist David McClure RSA RSW on Thursday 11th September 2014 from 5.30-7.30pm. 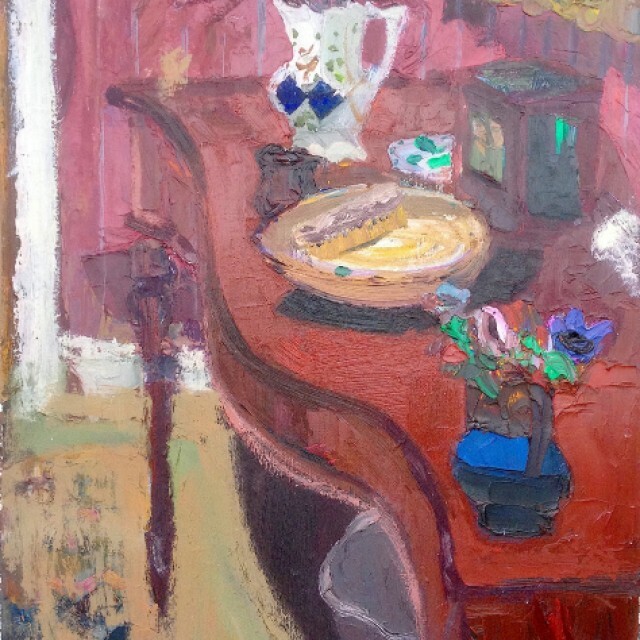 Robin McClure, the son of the artist will be with us in the gallery during the opening, and on the following Saturday 13th September from 2-5pm, when he will be happy to show you round the exhibition and talk about his father's work and the paintings on display. 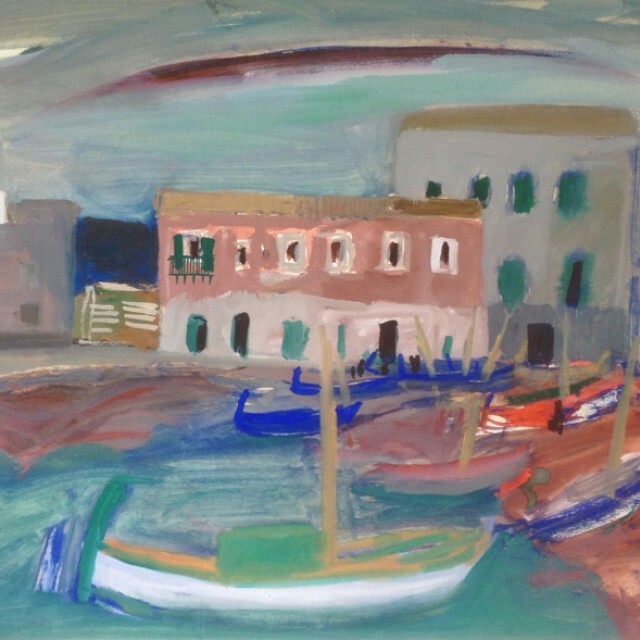 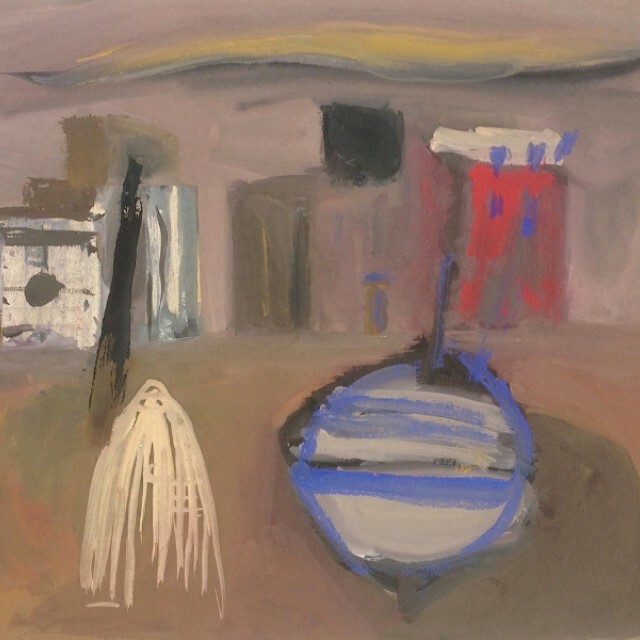 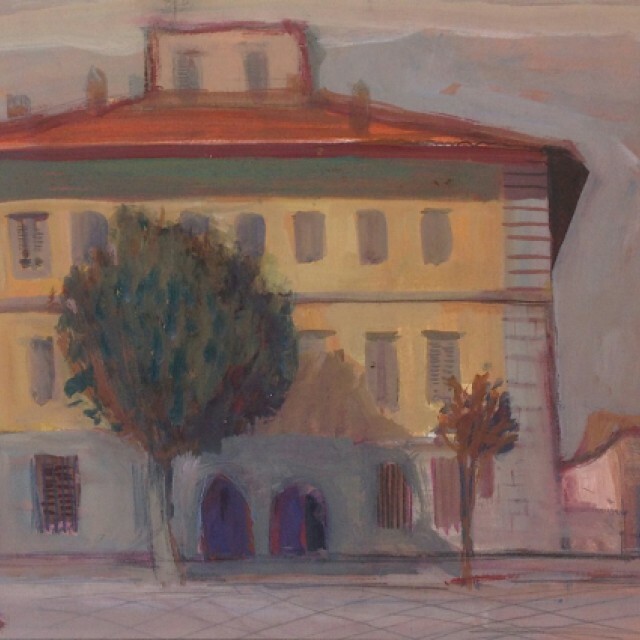 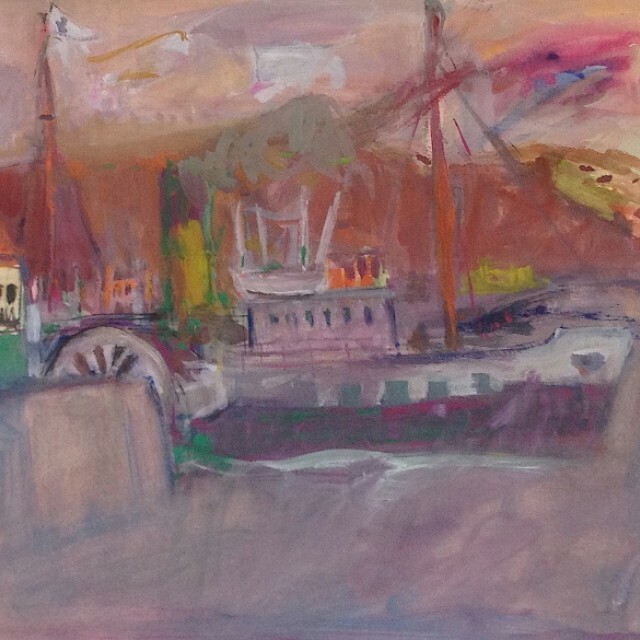 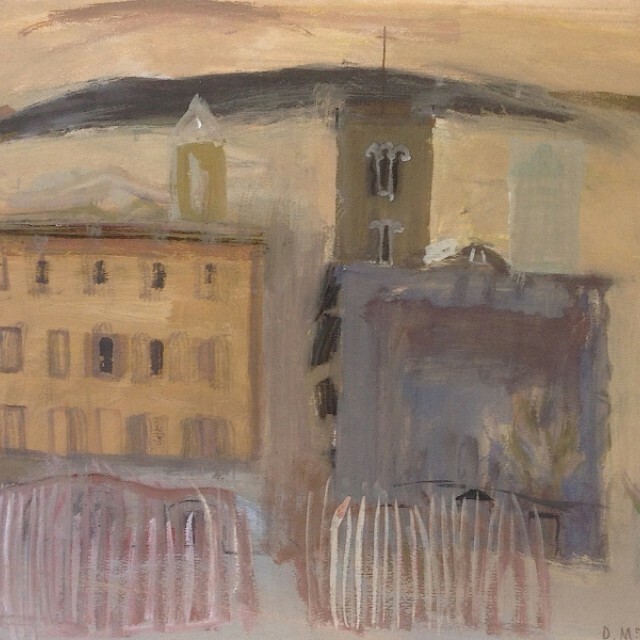 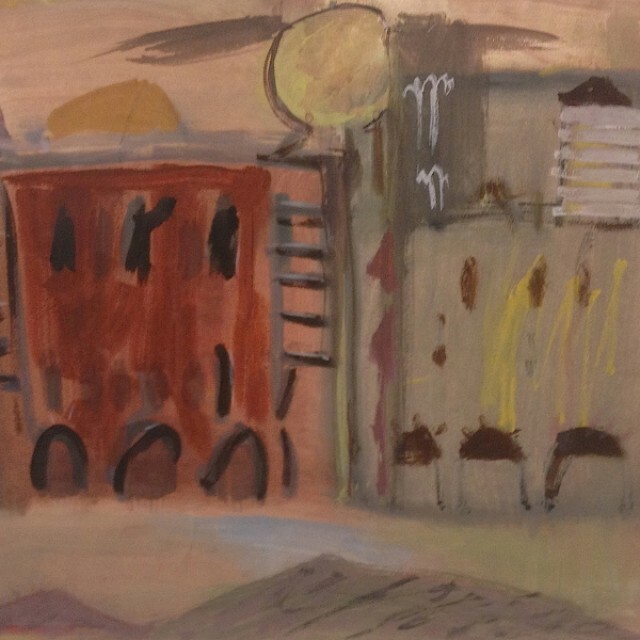 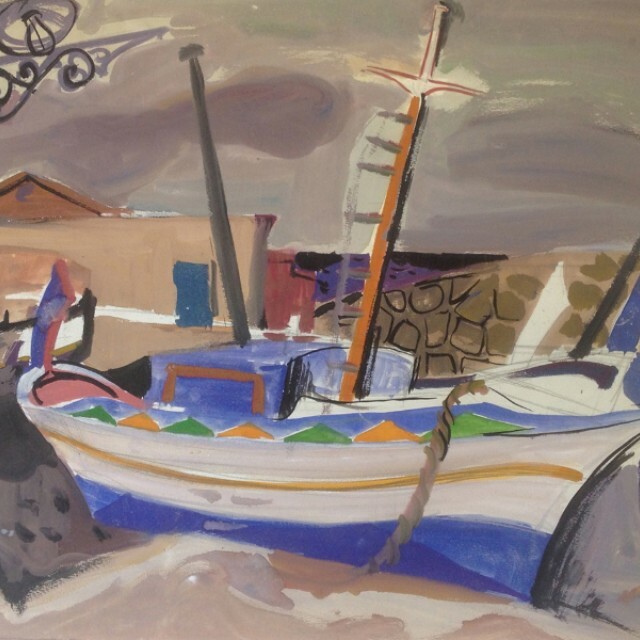 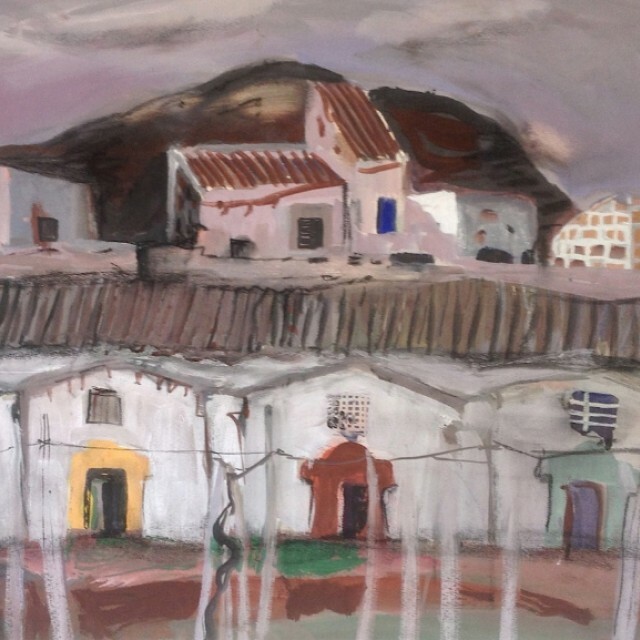 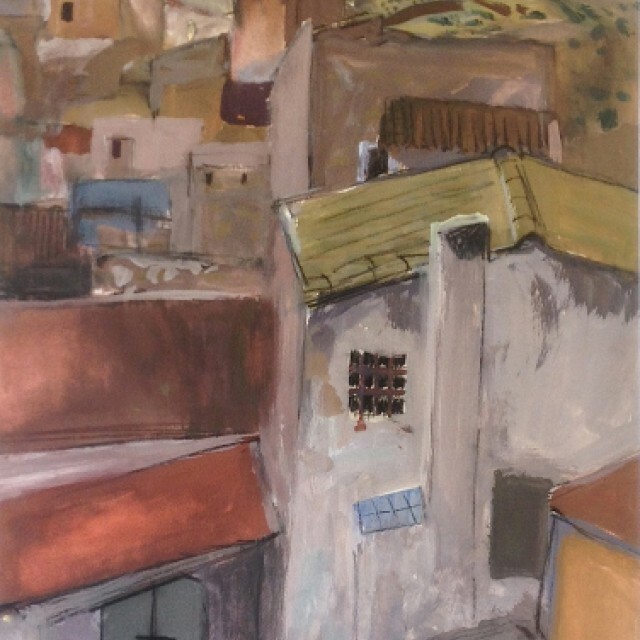 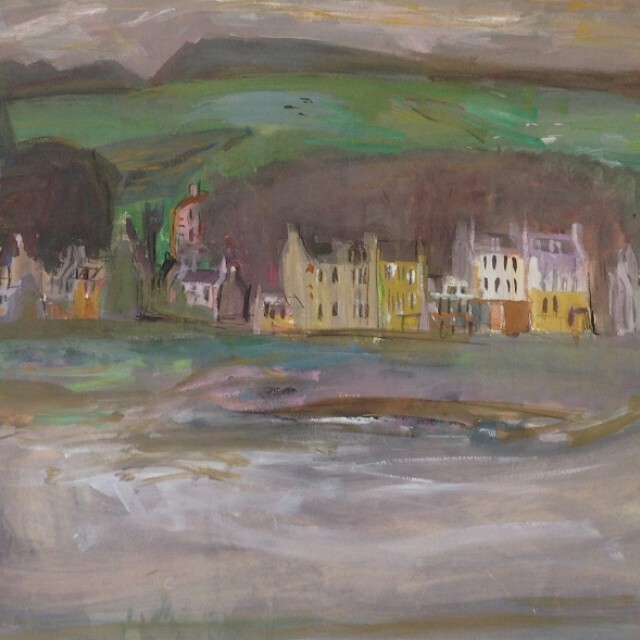 As a recipient of an Andrew Grant Fellowship from Edinburgh College of Art in 1955, McClure took his young family to live and work on two islands, Millport on Great Cumbrae in the Clyde, and then after a period in Florence to Casteldaccia on the island of Sicily. 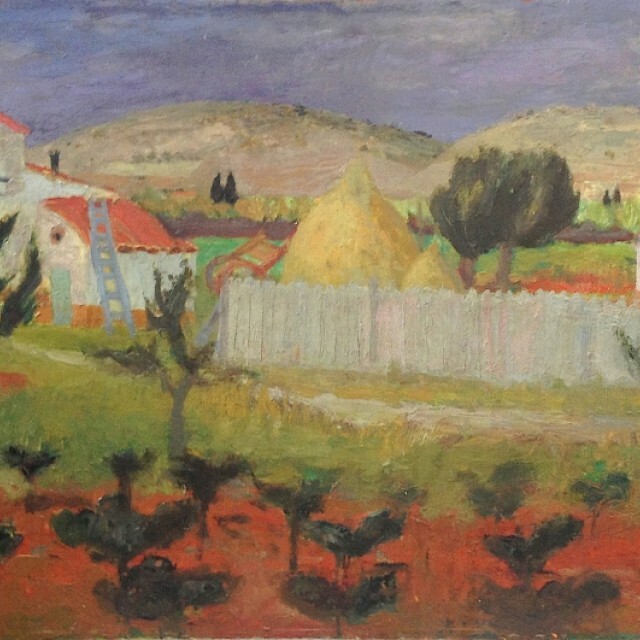 Both islands were a source of inspiration for his urban and rural landscapes, and were coincidentally linked by wartime connections. 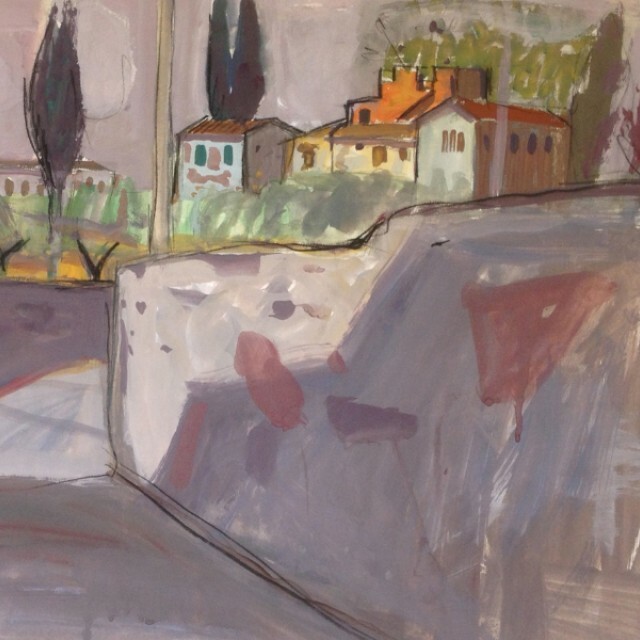 Here, as a young dynamic artist, McClure was forging his own style, inspired by these new environments as much as by the influences of various artists and mentors from the current Scottish artistic milieu and further afield in the UK and Europe. 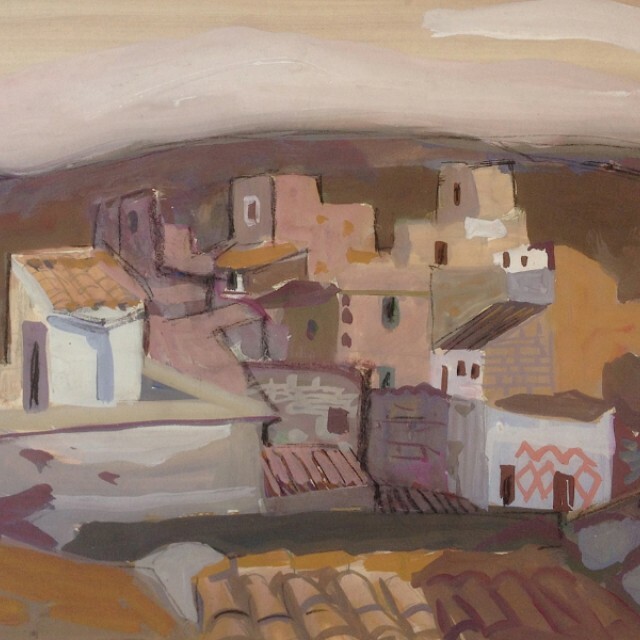 Usually better known for his rich, painterly still life and figurative compositions, often inspired by the French Post-Impressionists, the majority of the works on paper in this exhibition focus on his gouache, watercolours and pen and ink drawings of landscapes, townscapes and still life subjects, from the mid 1950's painted both en plein air or in (and indeed sometimes from) the studio. 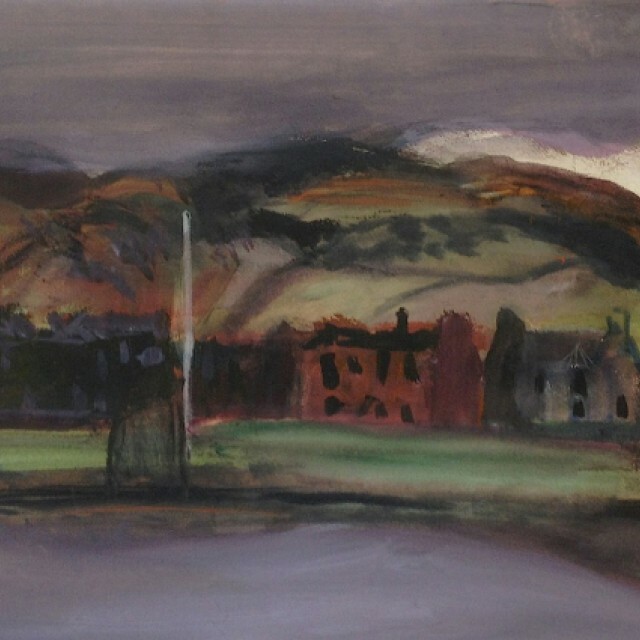 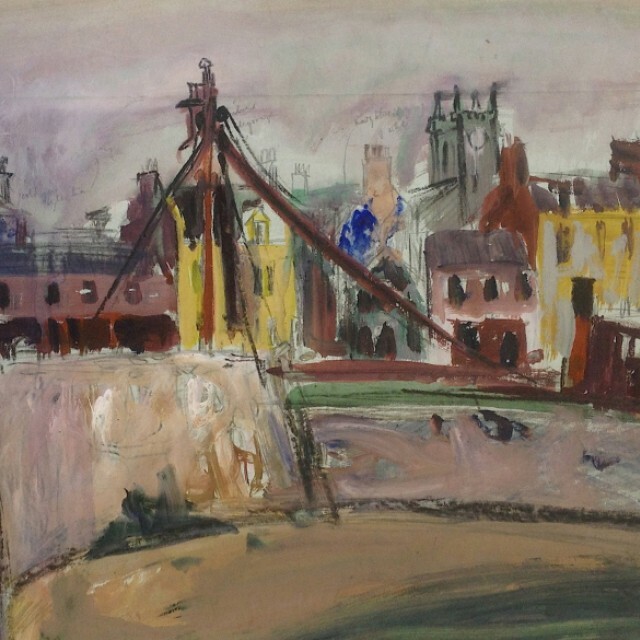 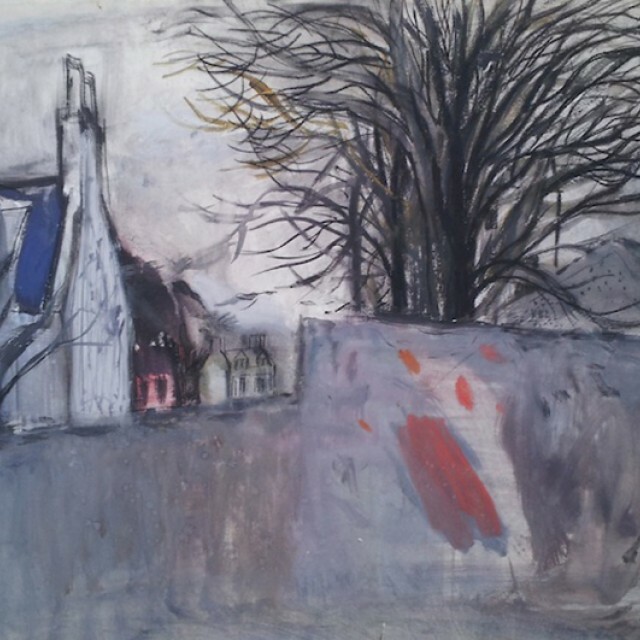 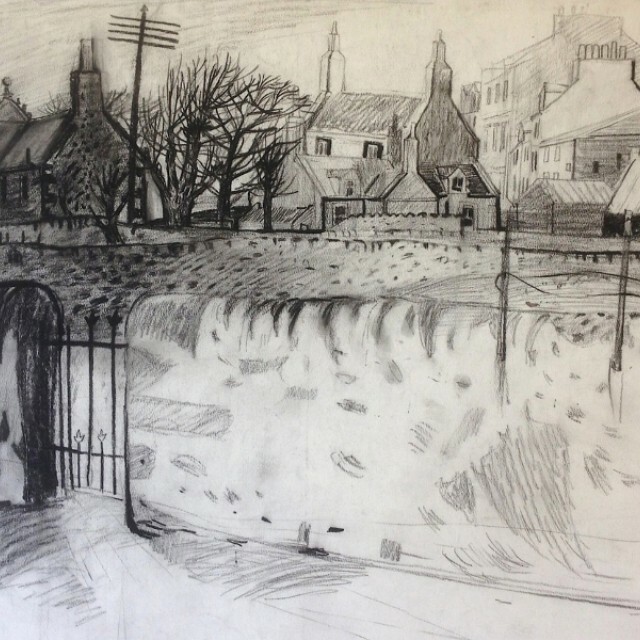 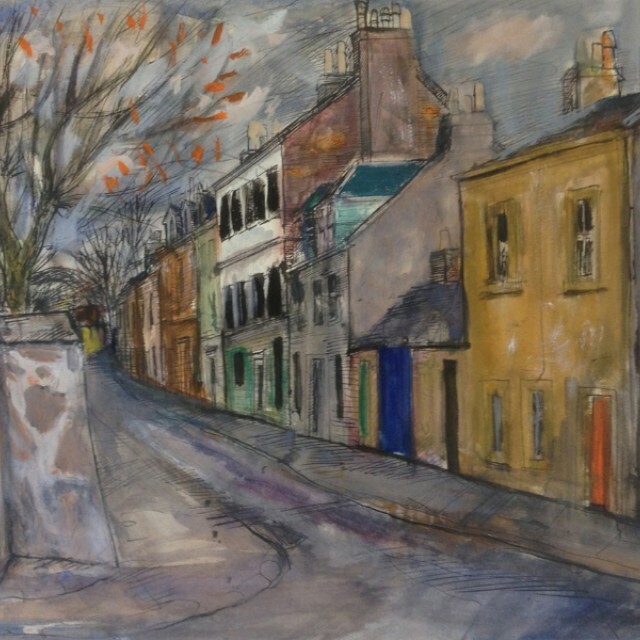 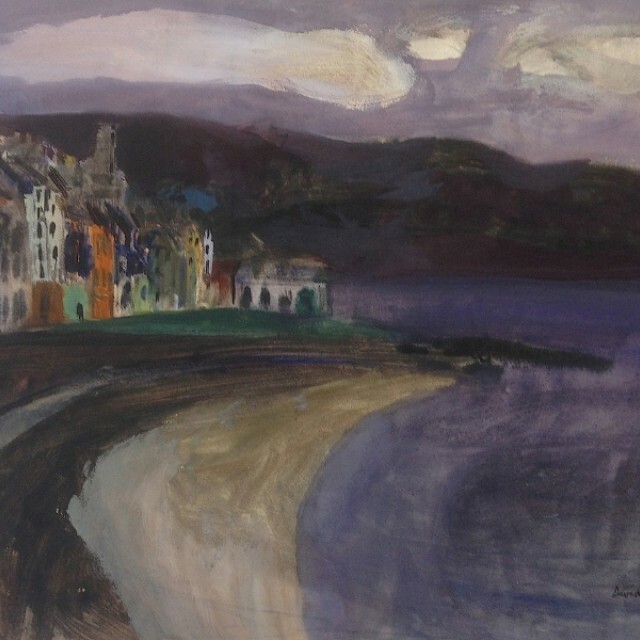 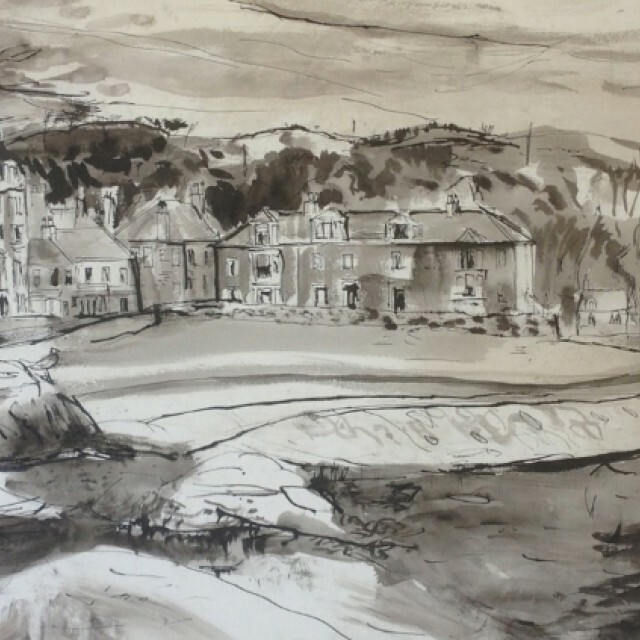 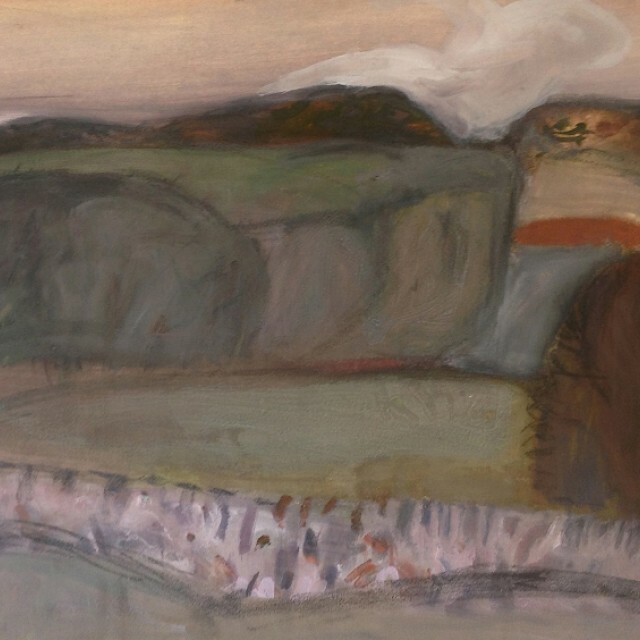 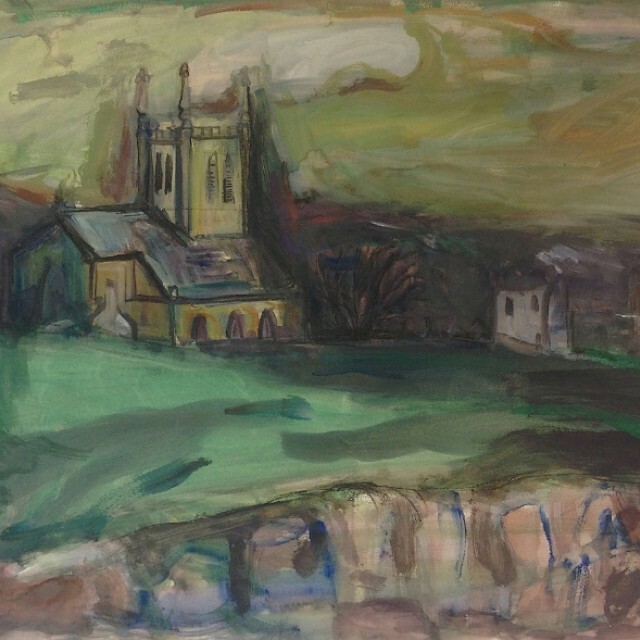 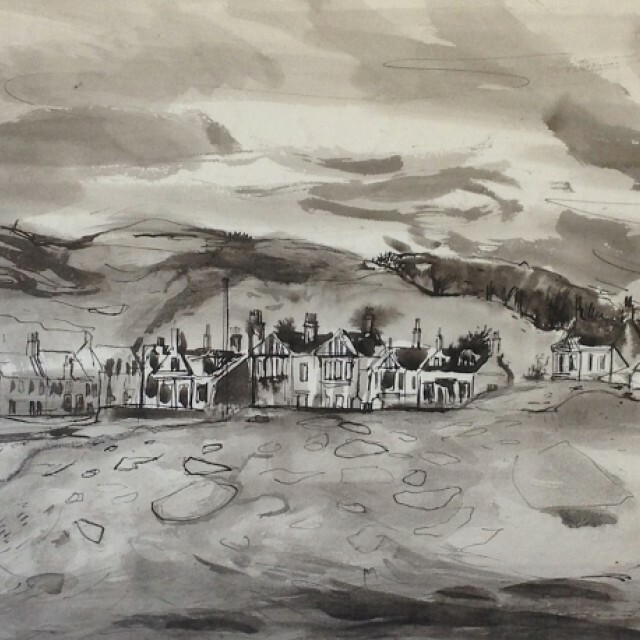 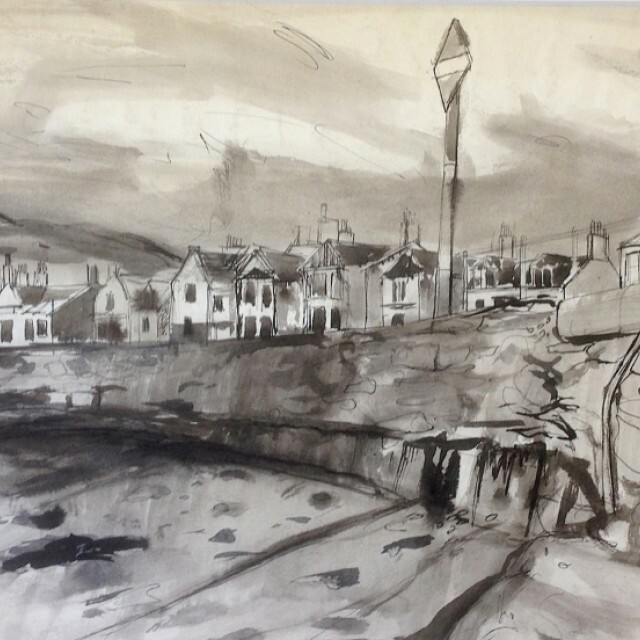 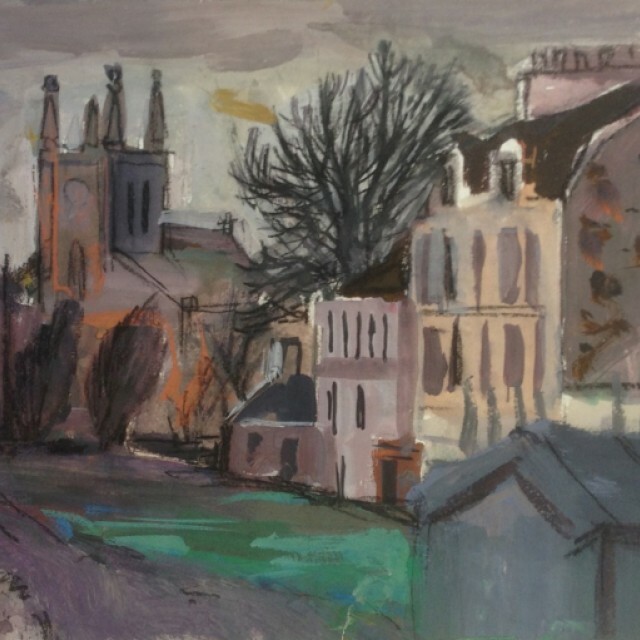 Born in Lochwinnoch in 1926, David McClure studied English and History in Glasgow University, then following his war service, recommenced studying History of Fine Art and Painting in Edinburgh. 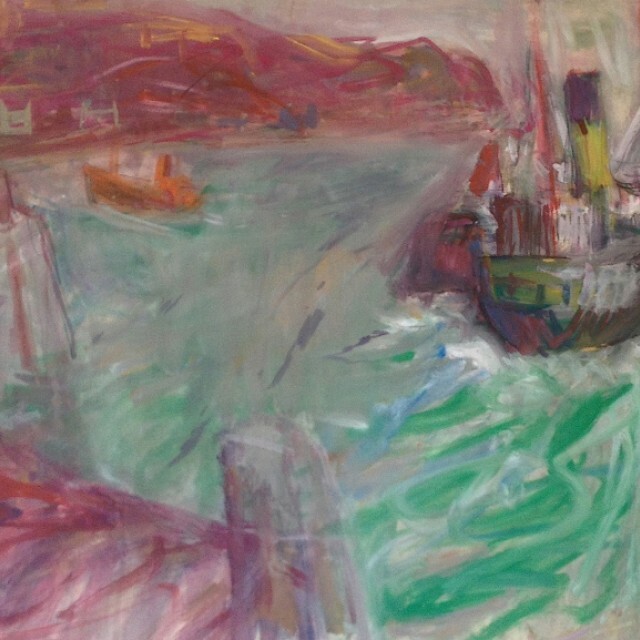 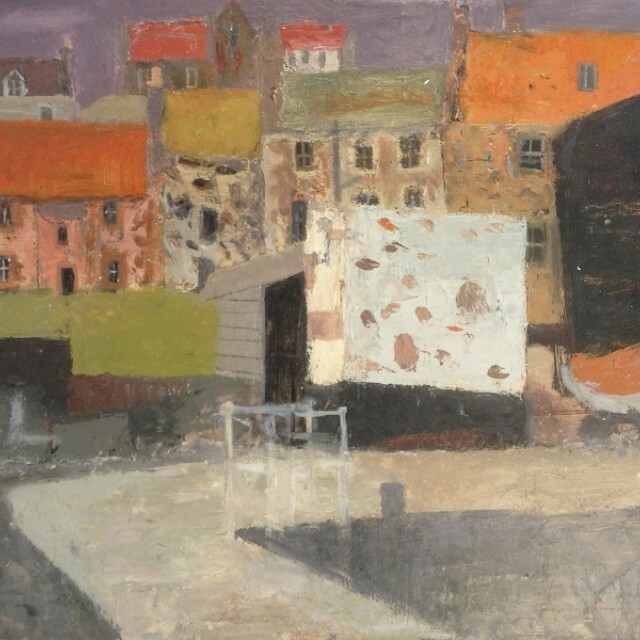 Tutored by William Gillies, John Maxwell and Robert Henderson Blyth, major painters of the time, he was also influenced by Anne Redpath and William MacTaggart and younger artists such as Joan Eardley and Robin Philipson. 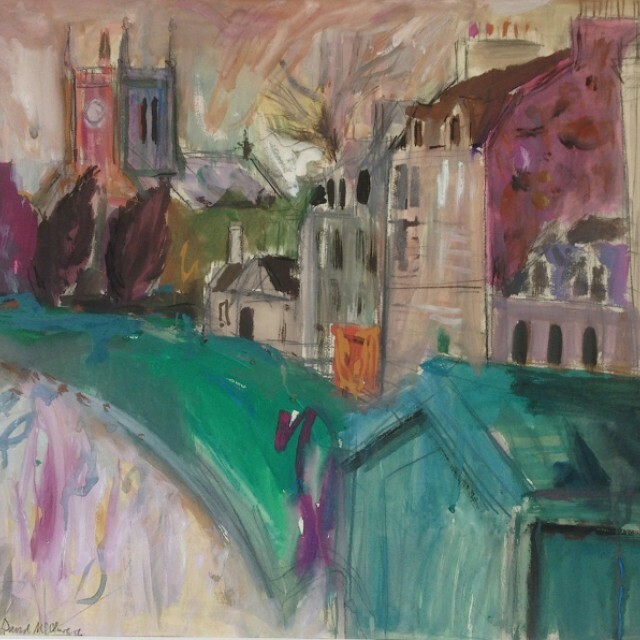 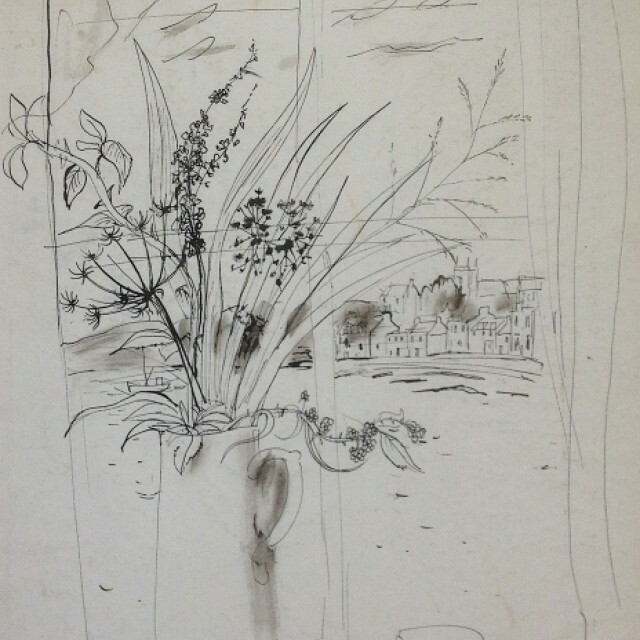 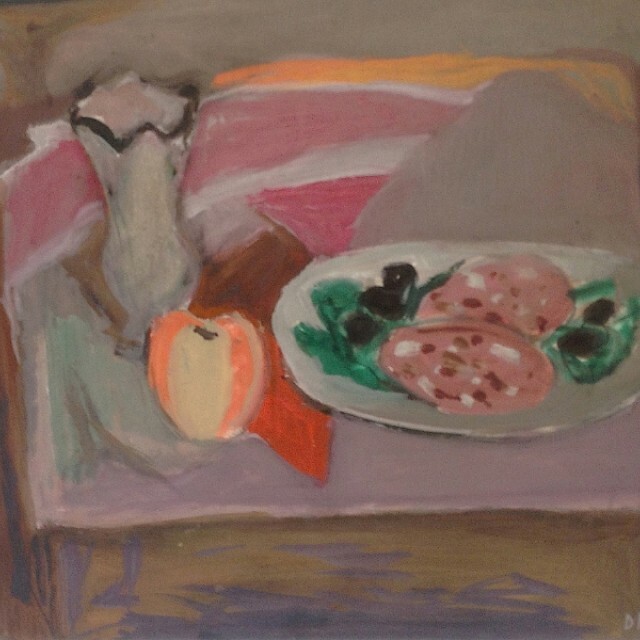 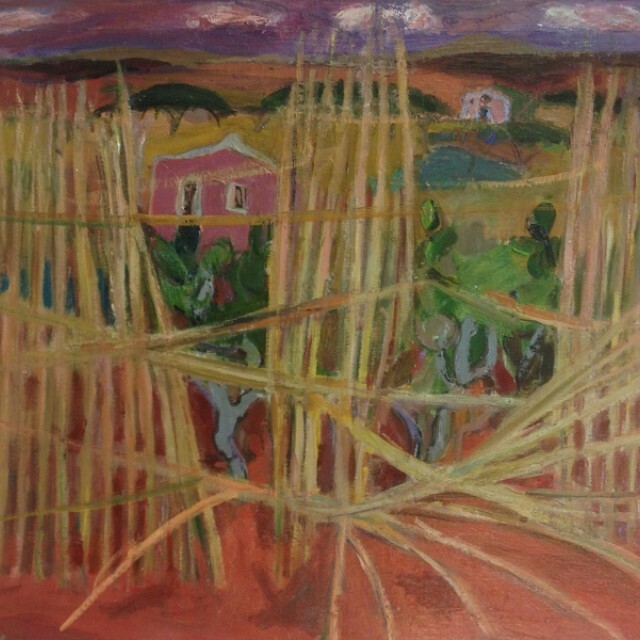 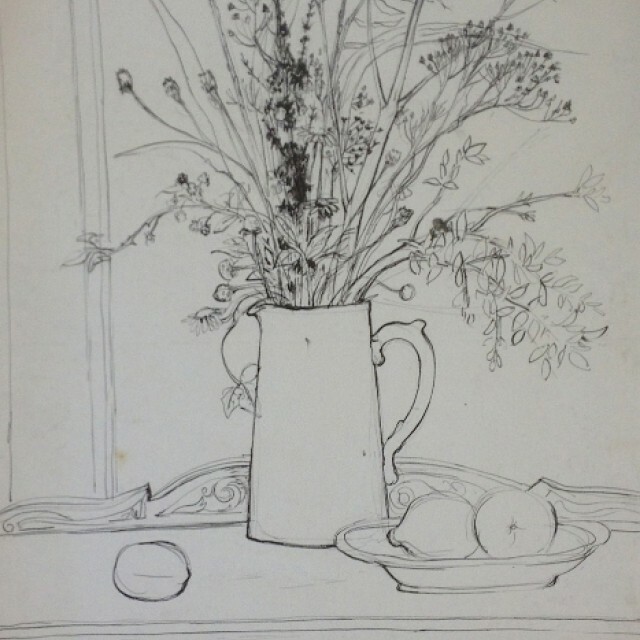 His contemporaries included Elizabeth Blackadder, John Houston and David Michie. 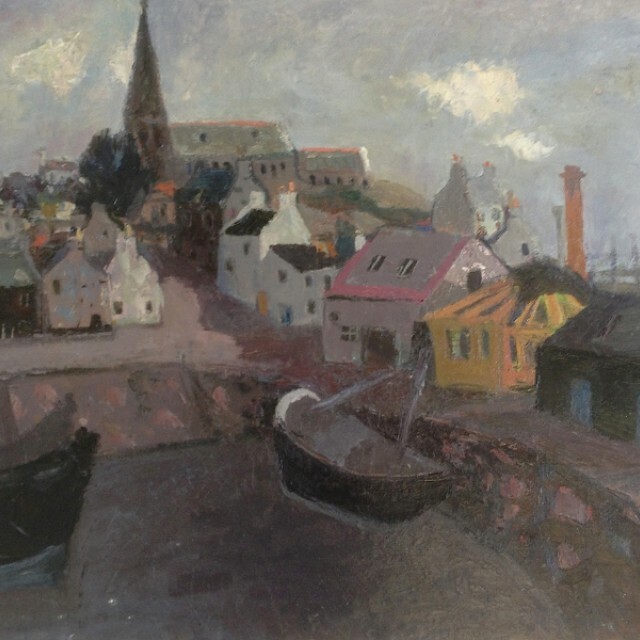 He taught firstly at Edinburgh College of Art, then at Duncan of Jordanstone College of Art, Dundee from 1957-85, retiring as Head of Painting, a post he took over from his great friend and painter Alberto Morrocco. 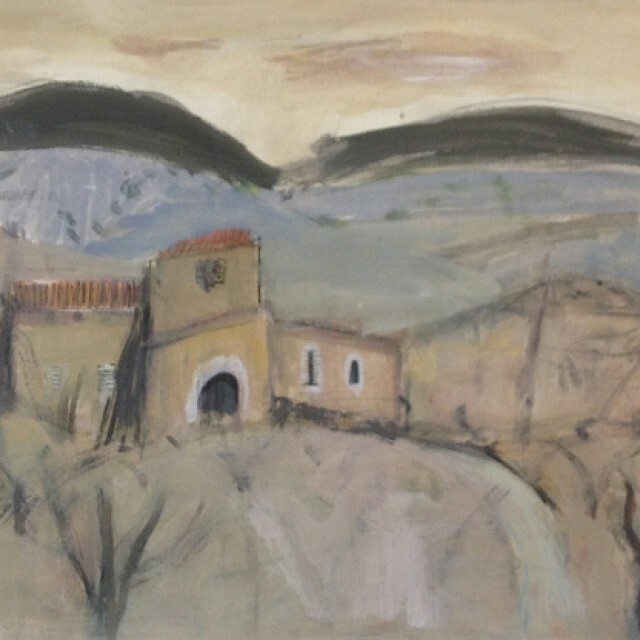 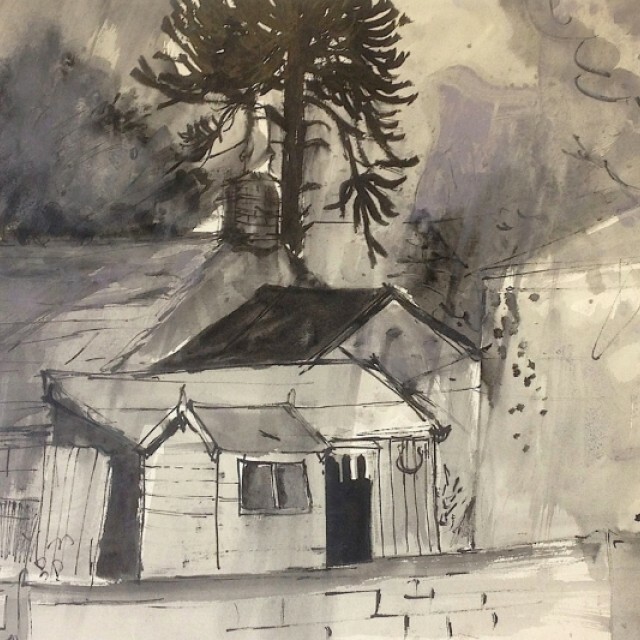 Elected a member of the SSA, RSA RGI, RSW, McClure was a regular exhibitor with Compass Gallery, and has had numerous solo and mixed exhibitions in Scotland, London, and throughout the UK. 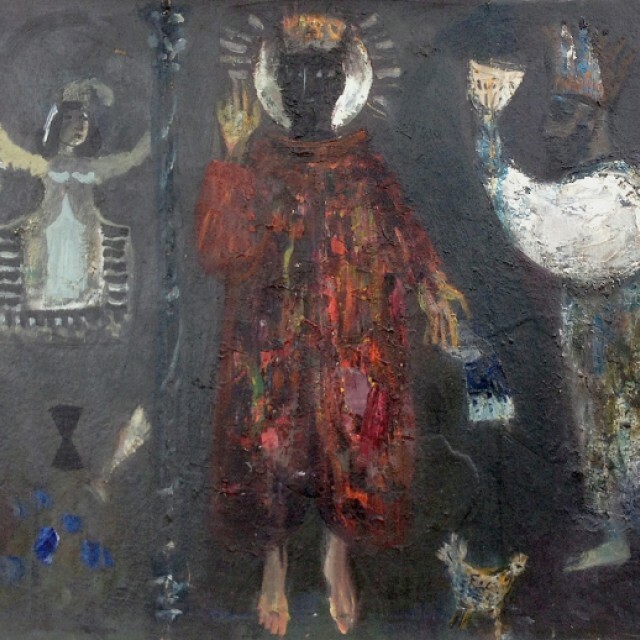 His works are held in many private and public collections including the USA, Canada, Scandinavia and Europe.